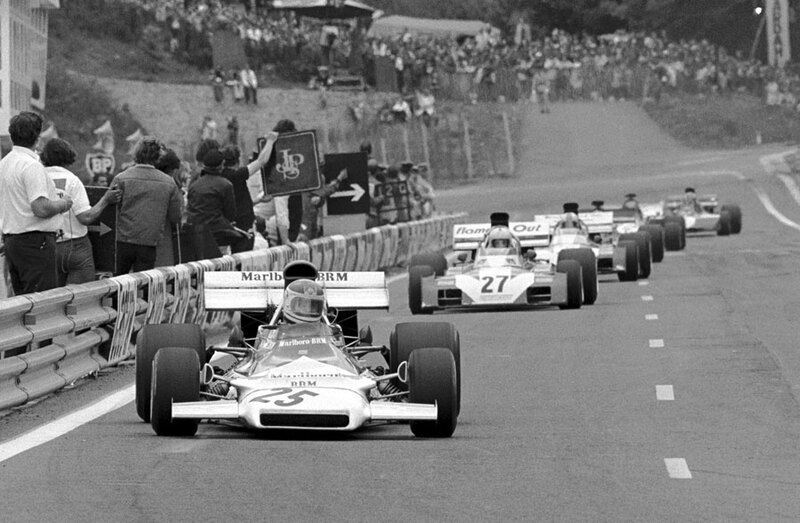 Jackie Stewart signalled he was not going to surrender his title without a fight with victory at the French Grand Prix. His win came after he had been laid low for six weeks with a duodenal ulcer, and moved him second behind Emerson Fittipaldi in the drivers' championship. The one-month gap since the Belgian GP, caused when the Dutch GP had been cancelled because safety work had not been completed, allowed Stewart much-needed time to recuperate. Chris Amon took pole and swept into an early lead ahead of fellow New Zealander Denny Hulme, with Stewart and Jacky Ickx close behind. Helmut Marko, in the chasing pack, was overtaken by Fittipaldi but a stone was thrown up from the Lotus and pierced Marko's visor and struck him in the eye. Marko did superbly to bring his car to a controlled stop but his race was over, as was his F1 career as the stone had blinded him in that eye. The track was notorious for the grit on the surface and for being a circuit where punctures were a regular hazard. Stewart, the unofficial spokesman on driver safety, said he had never seen a track as dirty at the end of a race. "Stones were thrown up all over the track … it's a miniature Nürburgring and some drivers complain it makes then nauseous." It proved so this time - Amon suffered a puncture, and then Hulme, who had taken over the lead, was passed by Stewart. Hulme then had problems of his own and had to have a tyre change, dropping him further back and leaving Ickx to chase the Tyrrell. But then his Ferrari also suffered a puncture, allowing Fittipaldi into second. Amon battled back to take third. Stewart was prevented from a victory lap when he was mobbed by spectators. He said he was untroubled by the ulcer until near the end when he "began to feel it had come back because I got flatulence". His team-mate Francois Cevert, who came fourth, also had issues, driving with his wrist in plaster, and only after having pain-killing injections following a shunt in practice.